Gamblio games are produced by a dozen software developers, including the biggest companies in this line of work. This is a place where classic slots such as Starburst, Genie Jackpots and Cleopatra coexist in perfect harmony with modern titles. There is no shortage of progressive jackpot slots either. For the fans of table games, it is the classic Gamblio live casino section that holds the greatest promise. European and American roulette as well as more exotic versions of popular table games can be played on real money. Live blackjack and baccarat are not to be frowned upon either and at these tables, players can interact with the dealers as well as their peers. Gamblio casino is first and foremost a realm of sensational online slots that meet the expectations of all adrenaline junkies. Popular titles that can only be found at a handful of casinos such as Top Cat and Wish Upon a Jackpot already have plenty of fans here. Players can spin the reels of classic games, such as Guns and Roses, Game of Thrones or Gonzo’s quest slot on mobile devices. The irresistible Gamblio welcome bonus is actually the main reason for newcomers to make the first deposit. That’s because the casino is happy to double the first deposit up to €200 or currency equivalent. Make an investment of at least €10 and you will have it matched by 100% while also claiming free spins. Terms & Conditions apply. All participants must be 18+. This is the fastest way to double your chances to win and the introductory bundle is credited immediately, without delays. Winnings resulting from free spins are subject to 50 times wagering requirements. Players have 7 days to clear these profits and 90 days to redeem the matched deposit bonus. There are hundreds of games to choose from, so as a new member you won’t have a problem in finding the title you enjoy among the many Gamblio casino games. Once the welcome bonus is cleared, players are invited to sign up for other offers and promotions. Gamblio promotions run round-the-clock and they credit everything from cash prizes and free spins to cash back. Frosty Fun is a promotion that triggers up to 50 free spins on popular slots such as Bonanza and Shangri La. It also serves as a reload bonus, matching 35% of deposited up to €420. 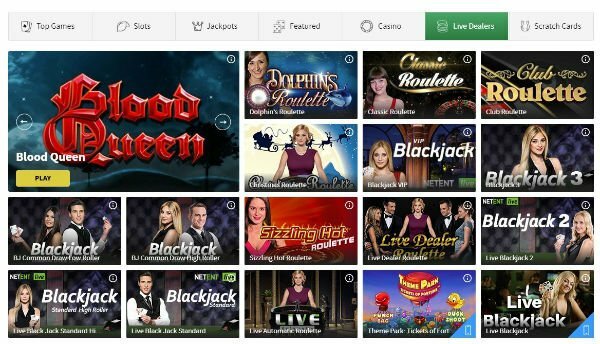 Twice Wicked is a Gamblio casino promotions and it is customized to meet the expectations of individual players. They receive surprise bonuses that better fit their playing style and these freebies can be claimed twice. Happy Hour is the perfect offer for those who gamble over the weekend. Each time they deposit €10 they receive five free spins on different slots, as long as they use the Happy Gamblio bonus code. Slots are immensely entertaining, but for the fans of table games, Live Dealer Cashback is arguably the best Gamblio promotion. Anyone who plays roulette live dealer over the weekend will receive up to 30% of aggregated losses back. The refund can go as high up as €300, which is a lot of money. How to Join the Gamblio VIP / Loyalty Club? The casino has a fully fledged loyalty club that feels like a complementary reward on top of the Gamblio Free Play Bonuses. Active players will accumulate loyalty points each time they bet real cash on any of the games available. As they move up the ladder, they start enjoying the benefits of the VIP treatment. VIP Points are accumulated whenever players bet €16 or currency equivalent. The more one wagers, the bigger the reward and players start as VIP bronze and move up through levels named after precious metals and priceless gems. Players can check their VIP status in the "My Account" section. The profits made as a result of playing Gamblio roulette, slots or video pokers as well as from claiming bonuses can be cashed out quickly. The list of payment methods is comprehensive and includes all major credit and debit cards. In addition to Visa and MasterCard members can also withdraw winnings using e-wallets, such as Skrill and Neteller. Bank transfers are always an option and no commission is charged. 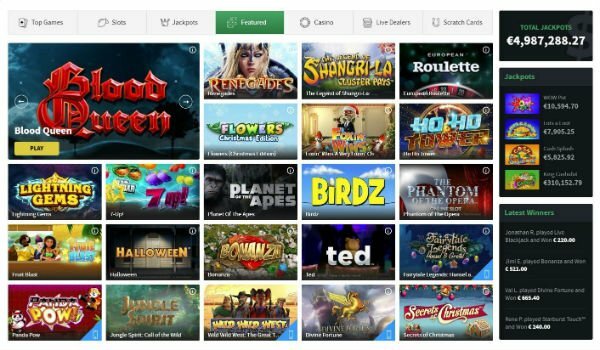 Gamblio Casino games are powered by Netent, Quickspin, Thunderkick, Microgaming and other software developers. These are specialized in the creation of slots and feature some of the best paying progressive jackpot games ever created. Treasure Nile, Cash Splash 5 Reel and Fruit Fiesta 3 Reel have a unique theme and feel, making players feel special with each spin of the reels. The visuals and audio differ based on software developer, yet the thing that all Gamblio slots, table games and video pokers have in common is quality. You could be playing Roulette Master and Double Bonus Poker, then switch to scratch cards and slots and enjoy the same fine graphics. Live dealer games are broadcasted from luxurious studios using top-notch WebCam technology virtually lag-free. Is it safe to play at Gamblio Casino? By reading this Gamblio review you realize that as online casinos go, this is a safe place to gamble. On one hand, games are certified fair by eCogra and leading software developers such as Microgaming and NetEnt also test them in-house. This means that players don’t compete against a crushing house edge. The casino is also protected from outside threats by using the 128 bit SSL encryption technology and firewalls. As a new casino, it still has a lot to prove and this can only be done over the course of time. So far, it looks like it covers all bases and tried really hard to keep all his players happy. If simplicity is what you seek, then opening a new account with Gamblio casino will appeal to you. There are just two steps to complete, as players need to choose a valid address, email and telephone. Make sure you enter the correct information because you will have to verify your identity later on. As the registration window opens, additional information is required, such as the complete name, address, postal code and date of birth. This is also the time when players need to choose a currency, but they can select the payment method later. Once these fields are completed, the account is officially up and running. This Gamblio reviews should paint a pretty clear picture about what this casino is all about. New but ambitious and running on games provided by respectable software developers, it can be trusted with real cash. The welcome bonus is spectacular and there are plenty of promotions to keep players happy. Payment methods are fast and reliable, while customer support available 24/7 and professional. - Gamblio casino is licensed by the respectable Malta Gaming Authority. - Players get to choose between hundreds of games from leading software developers. - The casino is mobile friendly and features the best live dealer games. 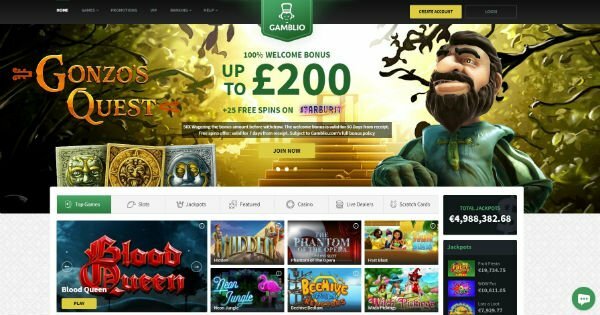 - Gamblio casino is still new and needs time to make a name for itself. - Withdrawal process could be faster.